We hope you find our monthly newsletter is packed with valuable news, events and activities! The General Data Protection Regulation ("GDPR") comes in to effect tomorrow. To help comply with GDPR consent requirements, we need to confirm that you would like to receive content from us. PLEASE SUBSCRIBE AND UPDATE YOUR PROFILE! GOTO is an after-work series with focus areas identified together with our network of the most promising startups and industry corporate partners, so topics are developed continuously, with inspiring speakers and participants. We are currently planning our autumn/ winter events calendar so watch this space! If you would like to contribute, collaborate and/or have any ideas or suggestions we would love to hear from you! Please contact magnus@thingstockholm.com. THINGS is project owner of Ignite Sweden, a national project matching startups with corporates. Through a close cooperation across project partners STING (Stockholm), LEAD (Linköping), MINC (Malmö), Uminova (Umeå) and SISP (Swedish Incubators & Science Parks), we join forces on a national level to create business meetings tailored to catalyse collaborations by pairing startups with potential solutions to the actual needs of participating corporates. Check out Ignite’s packed events calendar and register! It is a fantastic networking opportunity for sharp startups to have a dedicated 20 minutes pitch with established corporates. 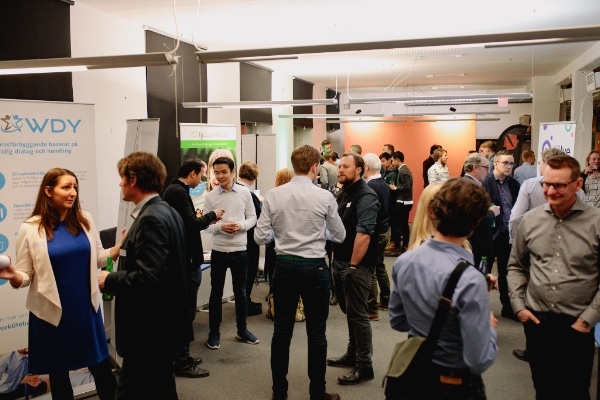 THINGS recently hosted Ignite’s IoT match-making event on 15th May. 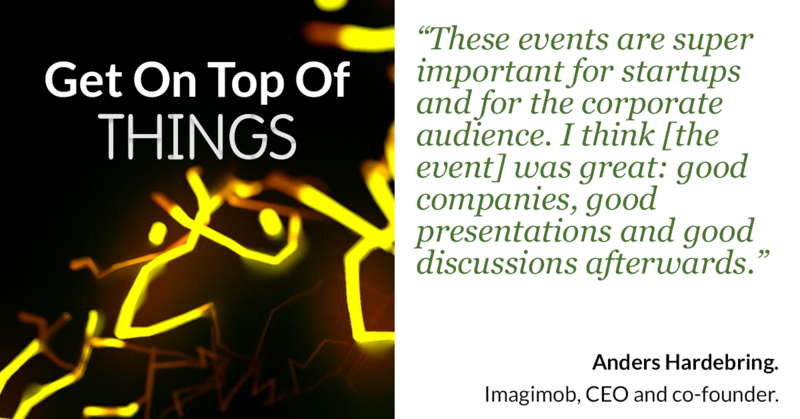 69 individual business meetings took place between 29 startups and 9 corporates. 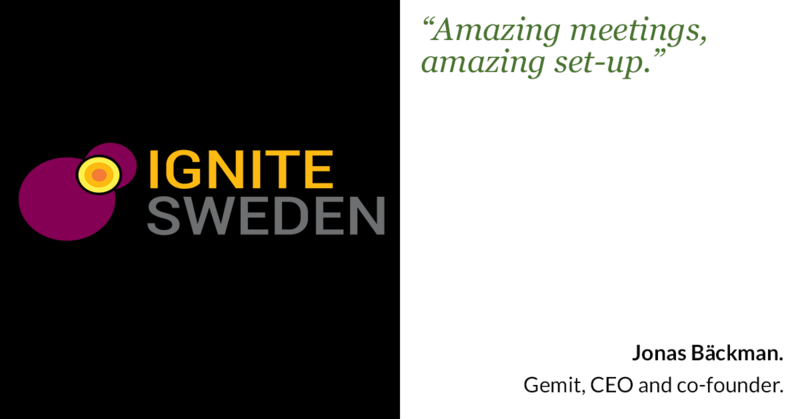 MINC is hosting Ignite live in Malmö right now (23-24th May)! A congratulatory shout out for reaching 1,000 business meeting today! The Enterprise Circle’s objective is to learn and facilitate collaboration between startups and corporates. 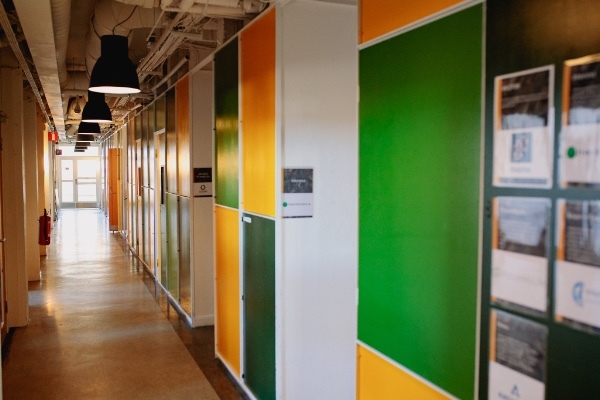 THINGS' facilities corporate engagement with startups in a number of different ways. Based on feedback and demand, we provide a selection of activities to suit various business needs. 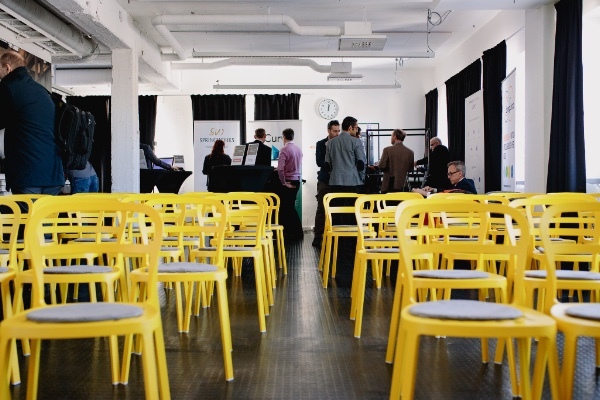 In addition to more generic events, such as GOTO and the annual Executive Summit, THINGS offers an á la carte of more specific, high engagement events with startups. -THINGS selects a 4x startups shortlist to solve 1 defined topic. 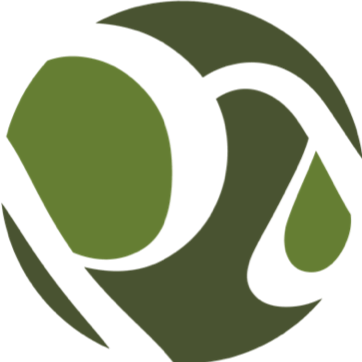 -Appropriate startups are scouted and matched from THINGS extended community of 400-500 startups. -For more information, please contact Magnus@thingstockholm.com. -Open competition to tackle 1 sizable corporate challenge. -Potential solutions scouted from THINGS extended community of 400-500 startups. -Managed and tested process, going from idea to an identified finalist in ca. 2 months. Developed in partnership with our partner NCC. -For more information, please contact Linda@thingstockholm.com. Finally, welcome Bisnode to our ever growing community of Enterprise Circle partners! Congraulations Power Aware for winning against 20 competitors to sell their energy saving and visualisation product in Gekås Ullared, Scandinavia’s biggest department store. The announcement was made this week on Channel 5’s Jakten på Storsäljaren! 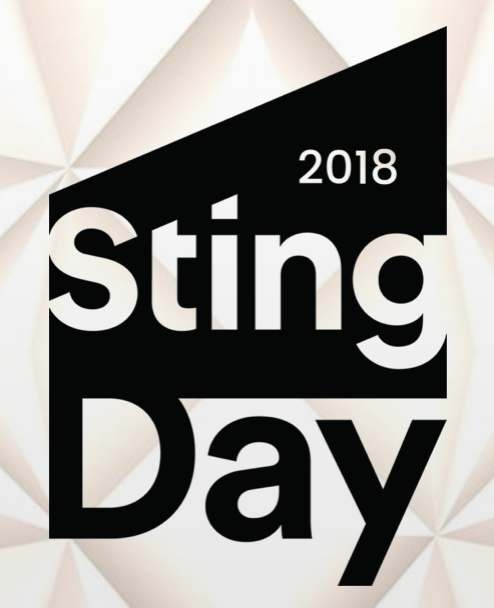 Congratulations to our main partner and backer STING on a successful and inspirational Sting Day on 16th May, an exclusive networking event for 400 guests. 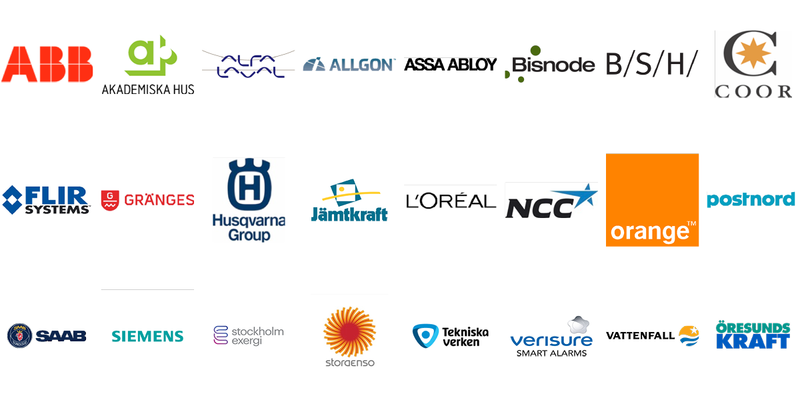 Including 60 selected startups from all over Sweden and 150 investors from across Europe. Special shout out to all THINGS startup members who were in attendance: Anymaker, CE Check, Cribble, Minnemera, Ortrud Medical, Racefox and Surfcleaner! THINGS is proud that our partner ABB and Synerleap hosted their Collaborate & Commercialize initiative at our event space on 17th May. An inspirational 1/2 day set-up with keynote presentations and panel discussions from eminent industry experts and of course, the dragons' den where seven of the brightest startups pitched live for a real and concrete business partnership with the event hosts ABB and Synerleap. Congratulations to the winners Prediktera, Univrses and THINGS member Ekkono who won a 6 month Synerleap partnership with their solution: The Smart Micro-Grid! 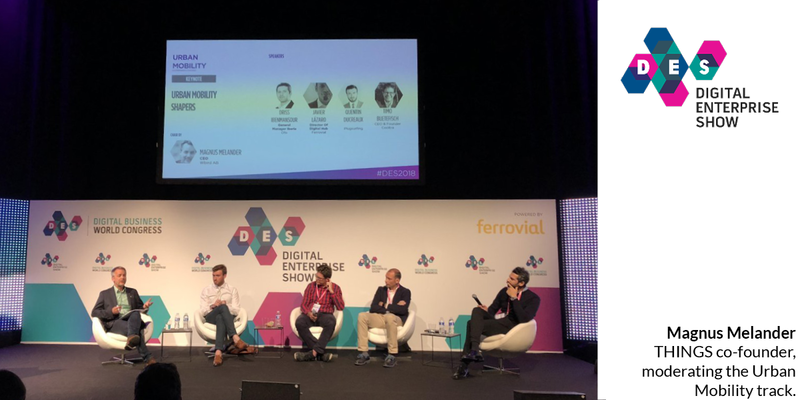 DES is taking place right now (22-24th May) in Madrid. It is a global 3 day event focusing on how businesses can meet the challenge of digitally transforming their businesses and becoming part of the new digital economy. Only the most innovative and cutting-edge companies are present and THINGS’ startup members are represented by Ekkono, Inkonova and MTEK, in addition to our friends Springworks. Magnus Melander, THINGS co-founder, will also be moderating the Urban Mobility track and be on the IoT panel on security! Our mission at THINGS is to catalyse the agility and innovation in sharp startups with the digital transformation challenge and opportunities faced by corporates. For startups this can mean funding, idea validation, scaling and market access. We can not promise, but as part of the THINGS community, we strive to create meetings with possibilities. THINGS does not acquire any equity in member companies and we carefully select startups with mainly B2B and industry relevant solutions to contribute to our strong tech community. -Network of relevant industry partners, investors, advisors and international hardware hubs. -Collaborative opportunities with corporate partners. -Exclusive offers and invitation to relevant events. -Access to prototyping and testing capabilities: on site workshop and access to facilities at KTH. 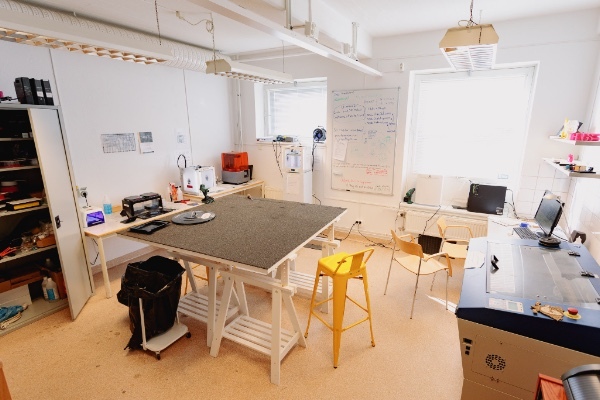 Stockholm --Makerspace is located in the same building (separate membership fee). -24/7 office access (inc. free meeting rooms, free coffee, free lounge access, a locker, printers and postbox). -Discounted conference rooms and event space for larger parties. We have a few different membership types depending on your needs. For further enquiries and to apply, please register. We aim to get back to you within 1 week of your submission. -Prices vary according to the size and number of seats. -An example 25m2 office with 4 seats: 16,000 SEK/ month. -FIXED seat: 3,200 SEK/ month. -FLEX seat: 2,200 SEK/ month. -24/7 access to our community area (inc. internet access, coffee /tea, fruit, etc.). You are receiving this email because you are a friend of THINGS AB - The Innovation Grow House.